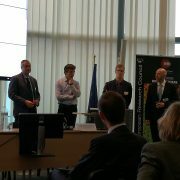 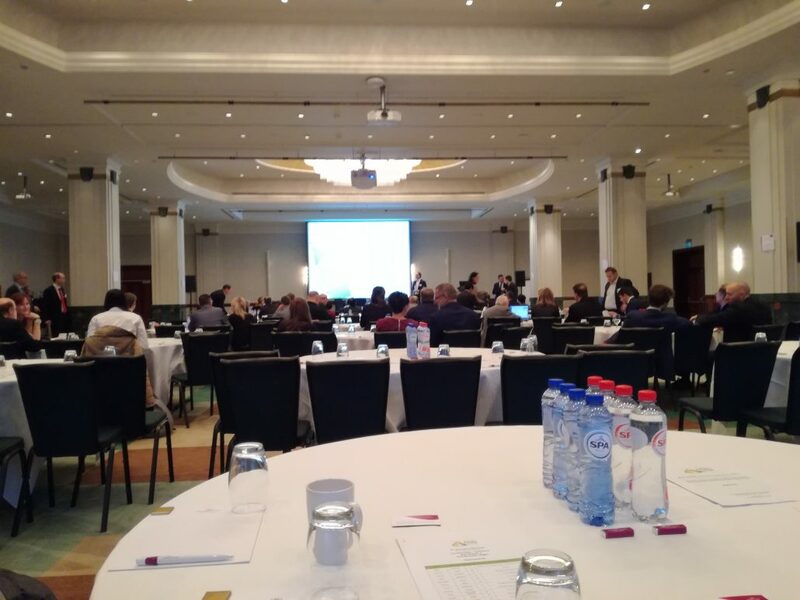 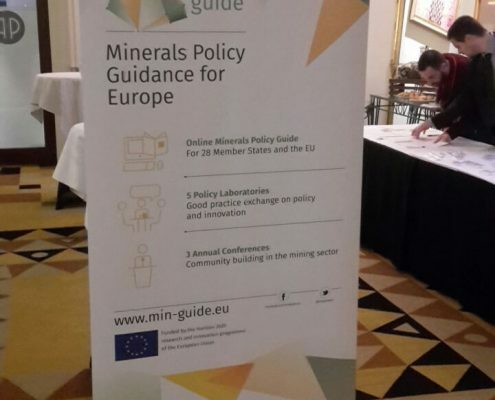 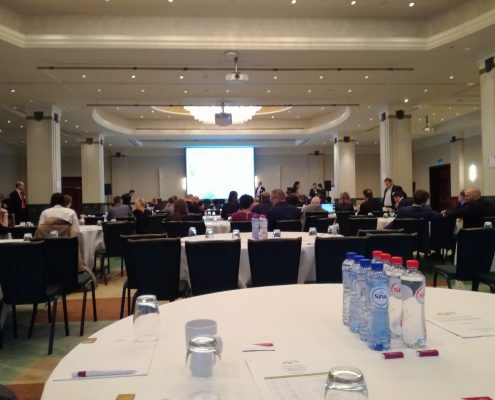 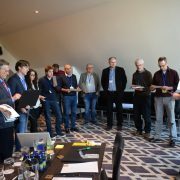 The MIN-GUIDE annual conference 2017 was held in Brussels, 13th and 14th of December 2017. 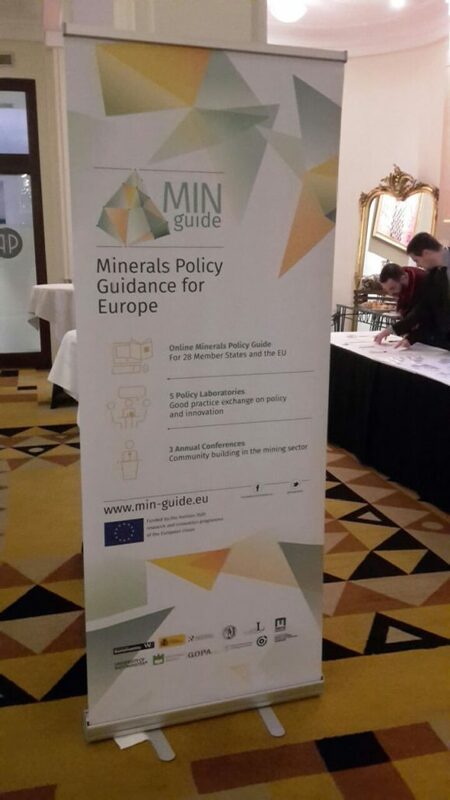 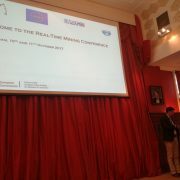 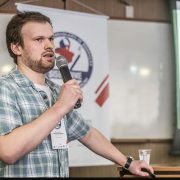 The conference was entitled “An Innovation-Friendly Policy Framework along the Mineral Production Value Chain” and intended to provide insights into the “cornerstones and future trends of an innovation-friendly policy framework for exploration and extraction, processing, waste management, and mine closure”. 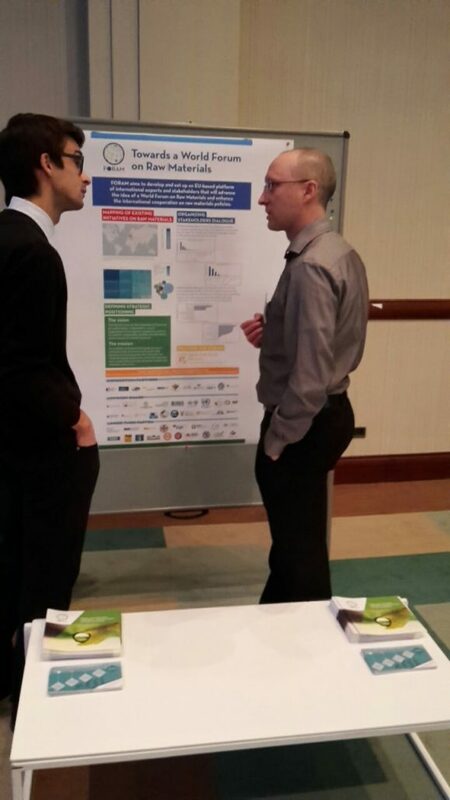 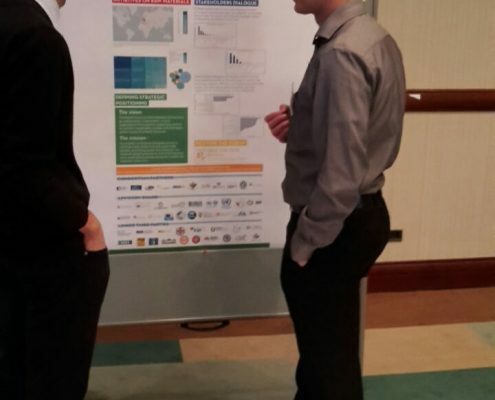 As part of the MIN-GUIDE conference’s poster section, the FORAM project was presented by LPRC member Luís Lopes. 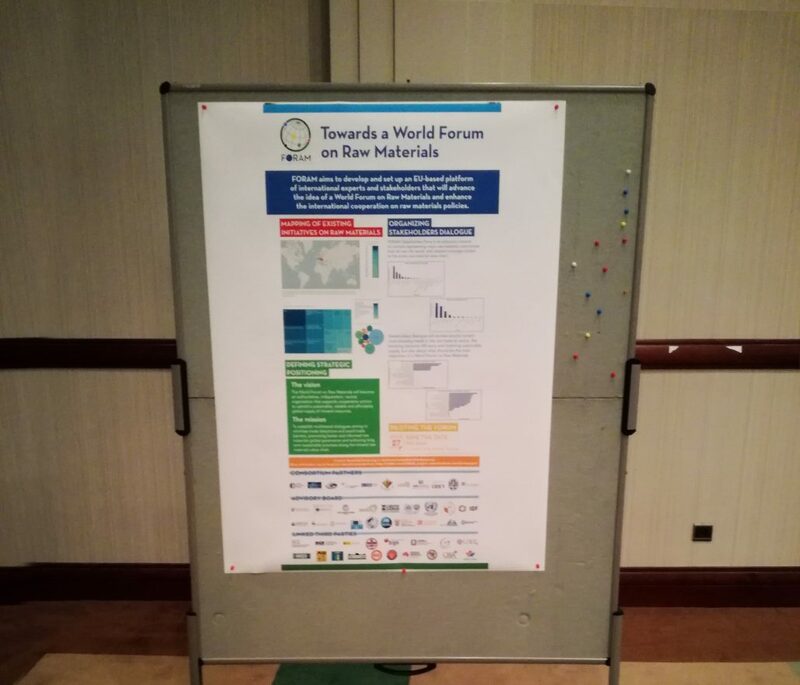 The FORAM project is creating a World Forum on Raw Materials in order to further establish the international cooperation on raw materials throughout its entire value chain. 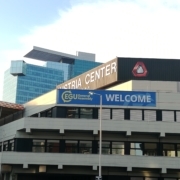 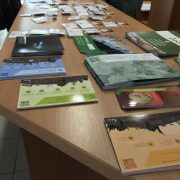 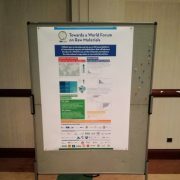 Through the poster, the FORAM project attracted a lot of attention, mainly from institutions who want to be involved as stakeholders in the development of the forum (envisaged to be ready by the end of 2018). 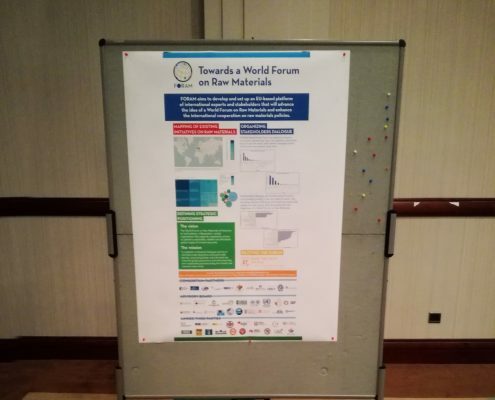 The FORAM project aims to connect institutions and persons in its network, understand their needs, and adapt cooperation measures to solve them.